Shane Harward has built a solid reputation as an Phoenix, Arizona insurance bad faith attorney representing the interests of insureds against high powered insurance companies who are more concerned about the insurance companies' financial interests than honoring the insurance contract obligations to the insurance policyholders. An insurance bad faith attorney needs to be prepared to diligently fight to empower the insured client against the insurance companies which are often being motivated by greed. Mr. Harward continues to do this successfully. If you've suffered severe personal injuries and someone is at fault ... we can help! Personal injury cases often involve serious and permanent injuries including head injury, spine injury, brain injury, burn injury, broken bones, knee injury, neck injury, back injury, shoulder injury, muscle and ligament injury, herniated or bulging discs, reflex sympathetic dystrophy (RSD) also known as complex regional pain syndrome (CRPS), paralysis, paraplegia, and quadriplegia, and sometimes death. Over 80% of multi-vehicle accidents involving motorcyclists are not the biker's fault. Motorcyclists are more vulnerable than other motorists, and motorcycle accident, motorcycle collisions, and motorcycle crashes often involve serious injuries, including brain injury, burns, fractures and breaks, dislocations, neck injuries, back injures, nerve injuries, paralysis, and spinal cord injury. Motorcyclists are often injured, through no fault of their own, by negligent car drivers and truck drivers who fail to see them or fail to yield the right of way. Dog bites and animal attacks are unpredictable, and all too often result in serious personal injuries, emotional trauma, and even death in the case of a fatal attack. While pit bull attacks seemingly receive the most attention, any dog can obviously bite and, under certain circumstances, any dog or animal can become a dangerous animal. Many states, including Arizona , have specific dog bite laws that provide protection for dog bite victims. Our law office intentionally endeavors to set itself apart from the general opinion and attitude surrounding many law firms. Our firm is founded on integrity, honesty, hard work and dedication to our clients. As our attorneys are in the business of solving problems, not creating more problems, they pride themselves in being available to our clients, to the public in general, as well as to opposing counsel. Our firm believes that most disputes, if not all, can be successfully resolved with plain professionalism and common courtesy to all those involved. 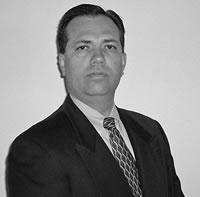 Shane L. Harward is a certified mediator and former Judge Pro Tempore with Maricopa County Superior Court. Mr. Harward provides a wide range of services in the area of conflict resolution. Our law office has earned a good reputation in this area by helping parties obtain positive results in peacefully settling disputes without the expense and stress of litigation. Moreover, Mr. Harward is intent on serving those already involved in litigation in obtaining a successful conclusion to their lawsuit in a timely manner. Mr. Harward provides alternative dispute resolution services, including mediation, in all types of legal matters and is willing to work with the parties before and during the mediation, as well as following up if a compromise is not reached at the initial mediation conference. Finally, Mr. Harward realizes that his law firm's responsibility to problem resolution extends well beyond the practice of law. Our firm is a caring, supportive member of the community. We have sponsored Little League Baseball Teams for children and City League Basketball Teams for adults. We have provided extensive pro bono legal services to numerous indigent clients through a variety of programs. In fact, Mr. Harward received an award for such service from the Maricopa County Volunteer Lawyers Program. Also, in this regard, our law office continually provides help to Senior Citizens through the Arizona Senior Citizens' Law Project. In addition, Mr. Harward has participated in community and civic service organizations.